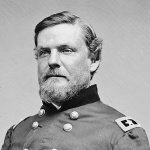 Who were Sedgwick’s 6th Corps division commanders? Which of Sedgwick’s division commanders have park avenues named after them? 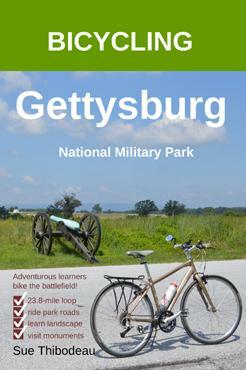 Which of Sedgwick’s division commanders have statues at Gettysburg? Neither Wright, Howe, nor Newton/Wheaton have statues at Gettysburg National Military Park. What symbol identifies the 6th Infantry Corps on Gettysburg monuments? 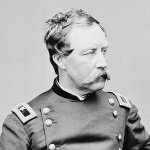 Who commanded the Union 6th Corps? Who were Wright’s 1st Division brigade commanders? Who commanded the 1st Division, 6th Corps? Who commanded the 1st Brigade of Wright’s Division? Who commanded the 2nd Brigade of Wright’s Division? Who commanded the 3rd Brigade of Wright’s Division? Who were Howe’s 2nd Division brigade commanders? Who commanded the 2nd Division, 6th Corps? 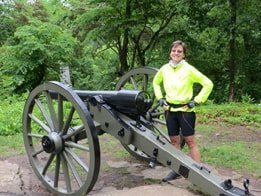 Who commanded the 2nd Brigade of Howe’s Division? Who commanded the 3rd Brigade of Howe’s Division? Who were Newton’s 3rd Division brigade commanders? Brig. Gen. Frank Wheaton (1833-1903), until July 2 when he was promoted to command the 1st Corps, replacing Doubleday. Col. David J. Nevin, on July 2.
Who commanded the 3rd Division, 6th Corps? Maj. Gen. John Newton (1822–95) until July 2, when he was promoted by Meade to replace Doubleday in commanding the 1st Corps. Brig. 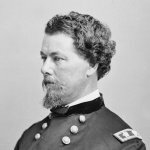 Gen. Frank Wheaton (1833-1903) on July 2.
Who commanded the 1st Brigade of Newton’s Division? 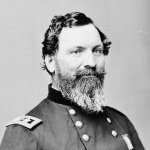 Who commanded the 2nd Brigade of Newton’s Division? Who commanded the 3rd Brigade of Newton’s Division?